This is brotherly love, alright. 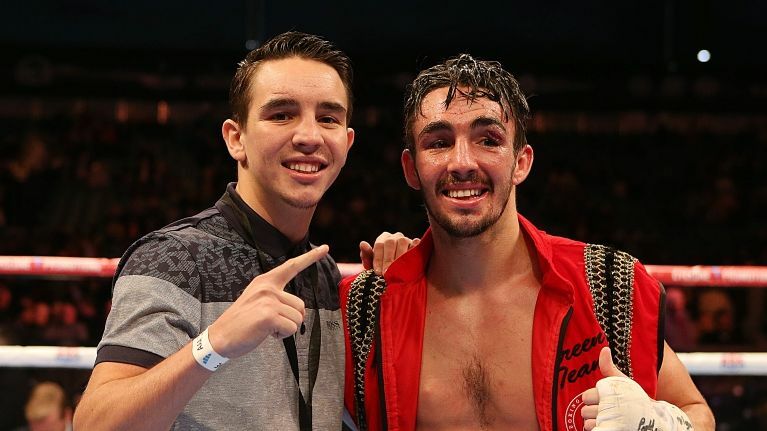 Michael Conlan might be sweeping all before him in the bantamweight ranks but there was a time when his biggest rival might have been his older brother Jamie. That is, until Jamie decided to give Michael's amateur career a lift by sacrificing his own Commonwealth Games ambitions and turning professional rather than step in the ring against his younger sibling. The Belfast brothers were due to face off in the final of an Ulster event, but at today's Web Summit event Michael recounted how his brother opted to forfeit the bout and go pro, where he now holds the WBO European and Intercontinental belts and is unbeaten in 14 fights. 'It's true, it's true,' Conlan said. 'We were drawn against each other - there was three of us in the weight, me, a guy Jamie was 1-1 against and Jamie. He got the bye into the final and fought beat the other guy and then Jamie withdrew from the Ulster senior final. 'He said: "Listen, you have the title and I'll go professional." The rest is history. The Conlans' parents were more than happy not to see their sons knock seven bells out of each other, but it turns out they had a different preference than young Michael taking the title. 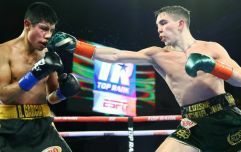 'We weren't going to fight each other no matter what,' Conlan said. 'They were more leaning towards Jamie's side because it was coming up to a Commonwealth year and he would have picked on the team, but he just said he was going professional and for me to go and do the business. Where he is today is the world's top-ranked bantamweight, as well as being world, European and Commonwealth champion, with Olympic gold all that is required to cap of a glittering amateur CV before he turns professional himself after the Rio Games. 'Nothing's changed for me. I've predicted I was going to win the European, the Commonwealth and the world gold, and everything's come true so far. 'I've said after London that I was going to win in Rio and I really do believe that. I have that confidence, I feel I have it already, that the medal's in the safe at home, it's sitting there already and I just have to go and pick it up. And he will once again turn to Jamie's experience to help him avoid some of the many pitfalls in the pro game. 'He's had a bad experience, with the way things went for him, but he's still 14-0, he hasn't lost yet. "It was very lonely. I used to be looking out the window wishing I was home"